As Monsanto fights to gain control of world-wide agriculture, they're finding opposition in many countries, as GMO crops are no banned in ten more countries than they're allowed to be grown in! In 38 countries, GM crops are banned on the government level, with the backing of the country's scientists, doctors, and environmental agencies. 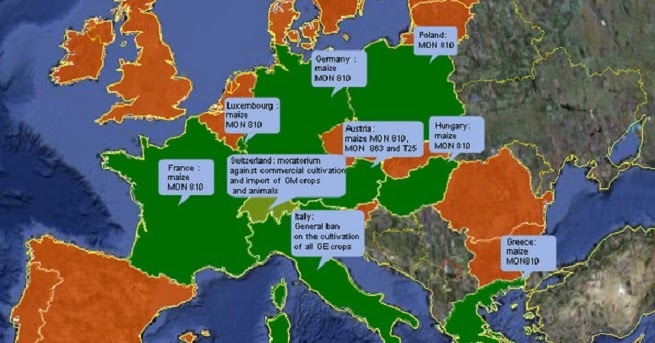 The list of countries with some sort of ban on GM crops is as follows: Azerbaijan, Austria, Bosnia and Herzegovina, Bulgaria, Croatia, Cyprus, Denmark, France, Germany, Greece, Hungary, Italy, Latvia, Lithuania, Luxembourg, Malta, Moldova, the Netherlands, Northern Ireland, Norway, Poland, Russia, Scotland, Serbia, Slovenia, Switzerland, Ukraine, and Wales. 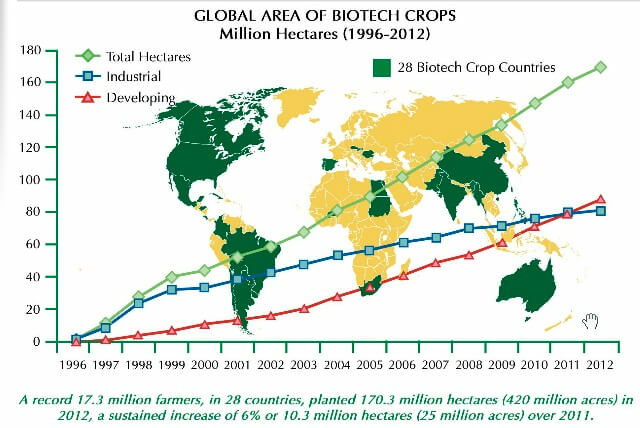 Other countries growing GM crops include Australia, Bangladesh, Bolivia, Burkina Faso, Chile, China (where numbers are relatively small and a showdown is brewing over the issue), Columbia, Costa Rica (which has made recent efforts to become GM free), Cuba (which has mostly resisted U.S. pressure to forge deals for using more GM seeds, however) Czech Republic, Honduras, Mexico, Myanmar, Pakistan, Paraguay, Philippines, Portugal, Romania, Slovakia, South Africa, Spain, Sudan, and Uruguay. Of course, it's well worth noting that there are now more countries banning the cultivation of GMOs than actually growing them. And just to add insult to injury, they were also banned in Scotland, the home country of Monsanto's founder Hugh Grant. It doesn't sound a whole lot like this technology is “feeding the world” now, does it?